According to the World Forum, a globalist group think, the global impact of loneliness is about $2.5 trillion. No doubt, pharmaceuticals are raking up billions of dollars as loneliness dramatically changes the emotional make-up of people afflicted by it, and that a dysfunctional cognitive state is at the core of many physical ailments — as much as we all know that that stress is a killer. Loneliness is even way more lucrative than cancer, whose costs are around $1.5 trillion today. The 2.5 trillion digit speaks of today and when looking at the trend saying that we are getting close to 50% of American adults suffering from loneliness, according to Cigna, with young adults ages 18–22 being the loneliest generation and in worse health than older generations, we ought to ponder. Such implications considering what is said in the paragraph above to figure out that the costs of heathcare related to loneliness are indeed set to skyrocket beyond belief! Retirement entitlements in the West, that were hailed as the best solution ever are now showing some serious cracks. The retirement system is broken and the only way to fix it is to raise taxes up to 60%, but how realistic is it? Most likely in 10 years from now, retirement will have ceased to exist. We hear about Basic Income everywhere, right, but what and who will define the right amount of money needed to go by when so many already foresee the abrupt end of the capitalist era. Anxiety and depression are going to stay with us for a long while, unless we embrace a money-free society. Not that many people can afford to help their parents anymore. Elderly are too left struggling with the loss of purchasing power as their relatives are saddled with debts. Since 70% of households go paycheck to paycheck, parents are emotionally absent and cannot pay enough attention to their own families and even kids. This is one of the major underlying causes explaining as why loneliness affects so many young people nowadays. Very heavy users of social media have a loneliness score (43.5), we definitely cannot trust appearances .Many will rather watch sport or a movie to forget about their stressful lives and loneliness. In Asian countries, there is another scenario playing out among others and which is quite telling: people leave their villages to move to the city where they hope to make tons of money, but the dream so rarely comes true and the elderly lose all the family support they once had in their villages. Each culture shares the same aftermath in the end, even though the storyline is different. Young Asians migrating to cities inexorably become victims of loneliness as their family bounds erode over time. Loneliness is an alarming trans-generational and absolutely raceless phenonemon. The so-called experts, in the video below, agree though: it is the lack of belonging to a community which is the very prime cause of loneliness but then quickly state that they need more data to look at this “stuff”. Psychologists and psychiatrist are ultimately rambling in the wind as they only focus on the symptoms while knowing about genetic memories fueling anxiety and loneliness. And let alone economists, they are not going to tell us that competition is hazardous to humans. These people are always quickly to state that they need more data to look at this “stuff”… Just bear in mind that those people earn 6 figure salaries, and want to keep their jobs. In the video below, you can hear specialists debate about loneliness at the Davos “global economic forum”, while keeping in mind that these people earn more or less 6 figure salaries. To be fair, the female speaker with the purpule shirt dares tackle the right questions but still does not connect them with our competition model. 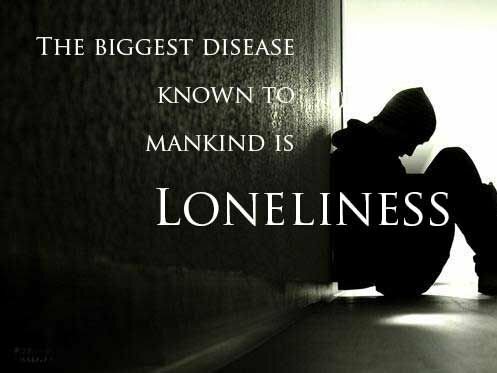 Of course now that loneliness is a guargatuan and silent epidemic, they finally realize that something must be done about it. This is another perfect example as why capitalism cannot fix itself. As always monetrarism cannot be preventive or it would self-sabotage, and each new crisis offers a new opportunity to extract more money creation from the system. Of course when analyzing this epidemic, the success of social media is no longer surprising anymore, they literally help make a killing! What is important to understand is that today debt-system was bound to come into existence as it is the direct and inherent consequence of chasing profits. It is the very logical evolution of the “notes of credit” started at the time of the European Crusades already, centuries ago… actually we can even go much further back, in China, with the Song Dynasty which issued the first “banknotes” in 1023 AD . ​Considering to become a patreon to help us spread the word like wildfire?